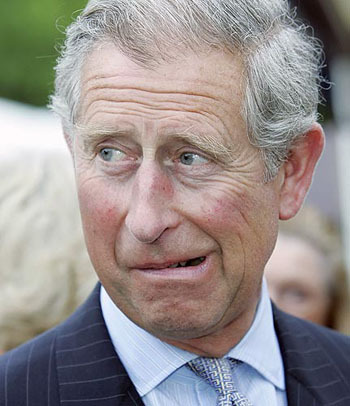 My husband and Prince Charles share a birthday. Today. 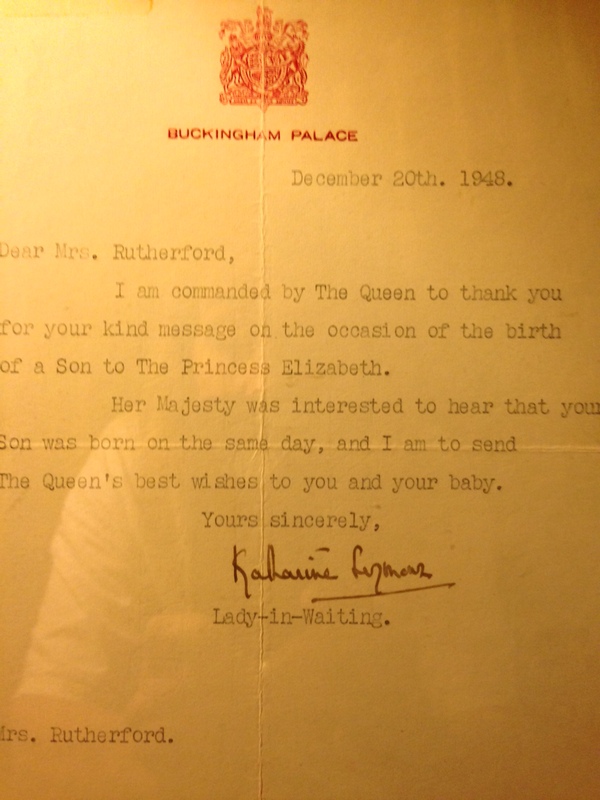 Hanging in our house is a letter that my mother-in-law received from the Queen’s lady-in-waiting 65 years ago, congratulating her on the birth of her son on the same day as Prince Charles. I am commanded by The Queen to thank you for your kind message on the occasion of the birth of a son to The Princess Elizabeth. Her Majesty was interested to hear that your Son was born on the same day, and I am to send The Queen’s best wishes to you and your baby. Somehow the Queen knew about my husband’s coming into the world. My mother-in-law swore she didn’t know how. I just always thought it was pretty cool. I ask my husband if it makes him feel old to turn 65. His response. “Not at all. Especially if you would quit asking me if it did”. I wonder how it makes Prince Charles feel. Maybe he’s just miffed he’s not King yet. Don’t know. It’s interesting to hear how my patients deal with their birthdays. Avoidance, great celebrations. I recently had a fantastic experience with a patient around a birthday. I will change the details to protect identity. For years, she had celebrated her birthday in the way others expected. Because she has been a pleaser. So she had hosted a lovely luncheon almost every year (she has lots of friends). People attended. It was quite an event. She has always hated luncheons. As she worked in therapy on having grown up with alcoholic parents – having developed a survival strategy of staying silent so as to not attract unwanted attention, she realized that she could use her birthday celebration as a mode for change! Her friends suggested – guess what? A luncheon. She politely but assertively said, “No, not this year”. She told her surprised family that she wanted to go camping overnight with just them – something she had always wanted to do. Tie balloons on the tent, S’mores, the whole nine yards. By the way, the balloons were very important. She had only bought her children, her friends, others – balloons, Never for herself. With tears in her eyes, she told me she had never had a better birthday. She had just turned 51. I hope Prince Charles and my husband Richard do what they want to today. What brings them joy and contentment. A sense of being connected to whatever feels sustaining in their lives. And no matter how old you are, you can always change. You can buy balloons. For your birthday. If you enjoyed reading this post, know someone who needs to learn to buy themselves a balloon or two, or maybe developed that same strategy as a child of alcoholic parents, please send this on! And thanks for reading!